Kris and I have been married a year and quite honestly, our first year has been blissful, contrary to what everyone told us it would be like. So many people told us that our romance wouldn’t last. A co-worker even told Kris that he was setting himself up for failure by greeting me with flowers and a home-made dinner after I had been gone for a week. She said, “What happens when you don’t do that? You are setting the expectations too high.” Wow. I am passionate about maintaining a romantic, epic kind of love in our marriage, mainly because I have seen other couples who have it. I know it can exist and I don’t believe God, the epitome of love Himself, would endorse a covenant to be mundane or nightmarish. It was created to exemplify His perfect love. Whether you are married or still in a dating relationship, Kris and I believe that the honeymoon phase never has to end. The maintenance of that romantic love is a choice made by two people and we want everyone to have it. All it takes is intention and willpower. 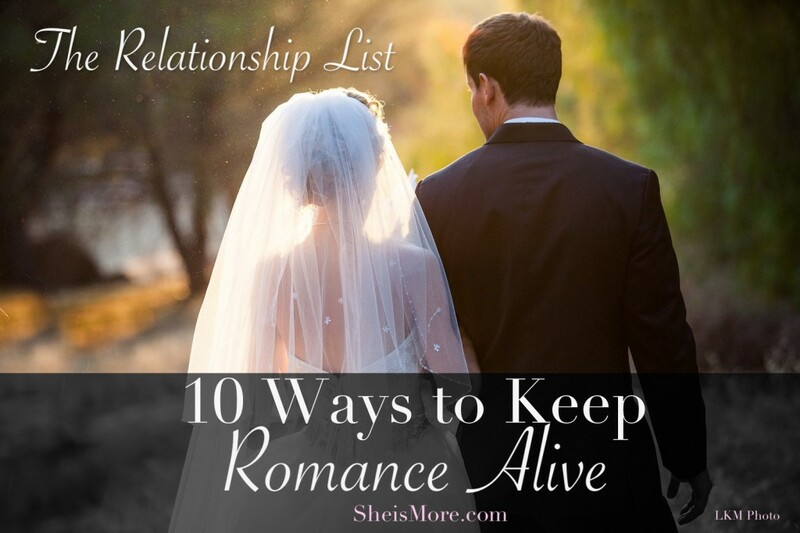 Here are 10 ways to keep the romance alive in your relationship. This quote sums it up perfectly, “If you love love, then it’s worth the effort.” It’s so true, do you love the feeling and benefits of love? Then everything it takes to keep it alive is worth it. Planning dates and quality time are so meaningful. Anything that takes extra effort and time is romantic and sweet. Ladies, many times we leave the planning up to the guys, which is definitely okay for the most part. But, we are in this relationship too and a lot of times, planning extra time out for our man or even planning a Friday date night is super meaningful to our men, because it’s unexpected! 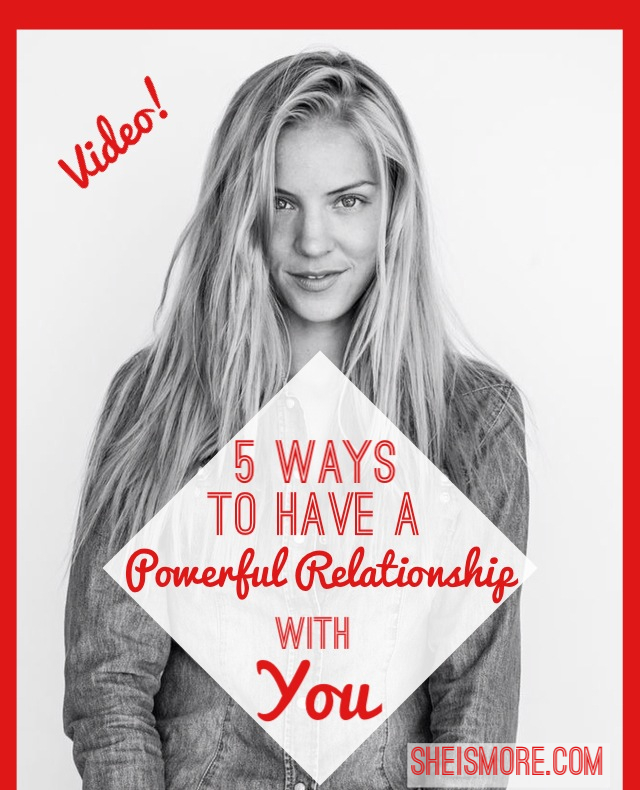 If you’re married, then planning time for intimacy is huge for keeping romance alive. Physical intimacy is one of a man’s greatest needs, according to Shaunti Feldhahn’s book, For Women Only. It doesn’t matter if you have just gotten in an argument or you are just not in a good space with each other, you can and should always treat your partner respectfully and kindly. Especially when you are in public, the bible says that love covers all wrongs, so the very last thing you should do is bad-mouth your spouse or partner. We all go through less-than-lovely moments that we aren’t proud of, so be sure that you are showing love by covering your man’s reputation. A man’s reputation is everything to him, so the best thing you can do is let him know he can always count on his woman’s respect. If we aren’t showing respect, other people will be likely to perceive that he is unworthy of it. It can be really easy to fall in a comfortable routine once you are married. Comfort isn’t bad until you get bored and complacent. Me and Kris’s philosophy on having a great marriage is to keep dating alive. However, I don’t think I realized how important new and exciting dates were until recently. For our one year anniversary, Kris wrote The Dating List: 10 Weeks to a Better Relationship. He has taken the time to plan out new, sweet and romantic dates that he surprises me with once a week! We have made a pizza together, danced in our living room to R.Kelly and gone to an outside movie with a picnic. I felt like a giddy teenager again! Doing new things together riggers the same feelings of newness and excitement that you had in the beginning dating phase. Communicate your feelings and emotions regularly. Most men do need time to wind down and decompress when they get home from the day and it is to our benefit to allow them that space. But you should establish a good time for both of you to connect on a real level each day. Don’t think you are doing yourself a favor by keeping hurt feelings and confusion locked in, I promise it will explode like a volcano, most likely at an unideal time. Always put yourself in the other’s shoes so you can have compassion when expressing your feelings. It will go a long way. Finances are a leading cause of marital strife, so definitely do your best to be wise with spending and saving. Take a finance course if your have to, I recommend Dave Ramsey’s faith based program for married couples. But especially, stay emotionally debt-free. The bible says not to let the sun go down on your anger for good reason. We don’t have the highest mental clarity after the sun goes down and nothing productive normally happens at night in terms of resolving conflict. It is best to talk, apologize and forgive before nightfall and start each morning with a clean slate. It is so helpful to surround yourself with married couples whose relationships you hope to emulate and admire. Kris and I spend at least one weekend per month with our marriage mentors because we want what they have! Proverbs 27:17 says that “iron sharpens iron just as a person sharpens another.” Your mother was right when she said, “You are the company you keep.“ You can find these couples at church, bible study groups and marriage groups. When your partner has gone out of the way to do anything sweet or helpful you, always show sincere, heartfelt, genuine appreciation. If you want to see a sweet behavior stop, just stop acknowledging it. In Psychology, Positive Reinforcement has been proven time and time again to increase the frequency of behavior. It also shows that a lack of acknowledgement, known as Negative Reinforcement will ultimately decrease and stop the behavior. So, if you want him to keep being loving and sweet, keep showing true appreciation in the way that makes him feel like a King. One of the things that annoys me is when Kris leaves the kitchen cabinet doors open. Some days, I walk in the house and they are all flung open and he is in another room. My instinctual reaction is to get frustrated and annoyed. But as cheesy as this sounds, I stop and tell myself, “You know what? I would so much rather come home to open cabinets than to be without him.” Keep things in perspective and remember all the incredible things about your man. Mentally acknowledge all of the things that you don’t have to deal with in your marriage that other wives do and be grateful. Tell him how grateful you are for him and thank him for being good to you. I promise, it will encourage him and he will want to continue living up to your standards. Quality time isn’t just spending time alone together. Quality time is putting away all the distractions and literally being intentional about engaging on an intimate level. It’s a time to talk about the week, to let down your guard and feel safe and free. I can’t even tell you the magic that happens when Kris and I do this. Thankfully our shared “love language” is quality time, so we make it quantity time too! But this is a chance you get to grow closer, let walls down and really create a bond that is unbreakable. It should be a top priority to schedule a certain amount of time to make this happen every week. Everyone has a past and has certain things that trigger emotional responses. The best time to figure out how to respond is in a conversation outside of an argument. It would be helpful to say, “I’ve noticed you react passionately when I say or do ________, I will try my best to avoid pressing your hot buttons. But when you are upset, how can I make you feel loved in those moments. What do you need from me?” Kris has learned that even when I am upset and it may seem I want him to leave, the worst thing he can do is leave the room. It makes me feel abandoned and neglected. We have had this discussion beforehand, so he knows that even if I say, “leave me alone,” he will not leave me. 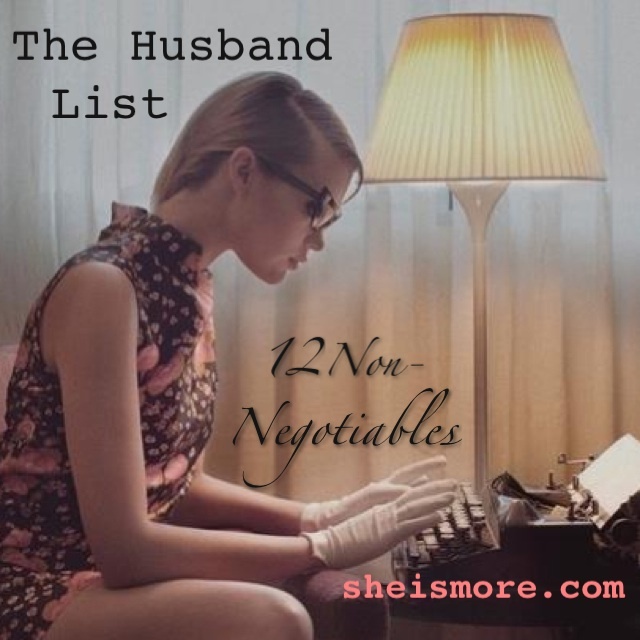 Dispel the stereotype that marriage has to be hard and disastrous. Let’s be a new stereotype, the one that inspires people to see the beauty of love when they put in intention and extra effort. Love is an action that creates an indescribable feeling. If this message inspired you, be an inspiration by sharing with your networks.